A: We gladly accept Visa, MasterCard, American Express, Discover, or regular account payments all via PayPal. Q: How secure is this website? Q: Do I need a PayPal account to purchase from this website? A: No, you are not required to have a PayPal account to purchase from this website. For non-PayPal account users, click the (Don't have a PayPal account?) link on the login page for PayPal. Q: How and when will I receive my templates ? A: To avoid high shipping charges and get the product to you quickly, we currently send an instant download link to the email account you use during checkout. Q: How long does it take to receive my download link? 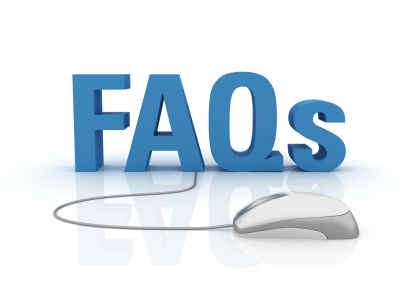 A: The instant download link is sent to your email address immediately after your payment clears. If it has been 1 hour and you have not received your download link, please check your bulk, spam or junk mail folder. You also may need to set your email to allow messages from info@homecaretemplates.com. Please send us an email if you have not received the forms. We will send them again right away. Q: Are these forms suitable for other countries besides the US? A: Yes, there is nothing country or state specific in any of the forms. The forms are written specifically for the home health care industry. They will work in any country. However, at this time, they are only available in English. Q: What if I don’t have the programs needed to open these forms? A: Our documents are created in Microsoft Word or Excel. If you do not have Microsoft Office, there is a free office productivity software you can download here http://www.openoffice.org/. You can also go to microsoft.com and search for the Word Viewer. This is a free download which will allow you to view and print your files. The library generally carries those programs as well. Q: What if I am unhappy with the forms once I receive them? A: We want every one of our customers to have the best experience possible. We will do everything we can to correct the problem. Please notify us within 5 days of receipt with any problems you may have. Q. I already have some of my own business or agency systems. Why purchase your templates? A: Even if you only used some of our materials then this would still be a valuable resource to compare, add to or improve your existing systems. A: Although franchises can be right for some people we can provide you with the necessary employee manual, forms and templates at the fraction of the cost of a franchise and with no royalties to pay ever. Q: Why not do it all ourselves? A: Our staff have compiled our solutions over many years. It would take you many months/years to create the quality of these materials from scratch. Our solutions have been tried and tested. Q: How and when will I receive my templates? Q. Why not do it all ourselves?